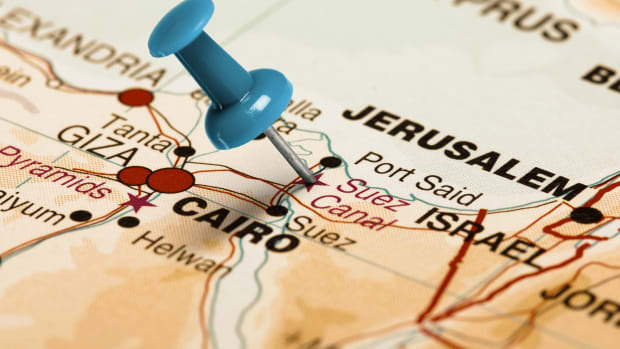 On October 29, 1956, Israeli armed forces pushed into Egypt toward the Suez Canal after Egyptian president Gamal Abdel Nasser (1918-70) nationalized the canal in July of that same year, initiating the Suez Crisis. 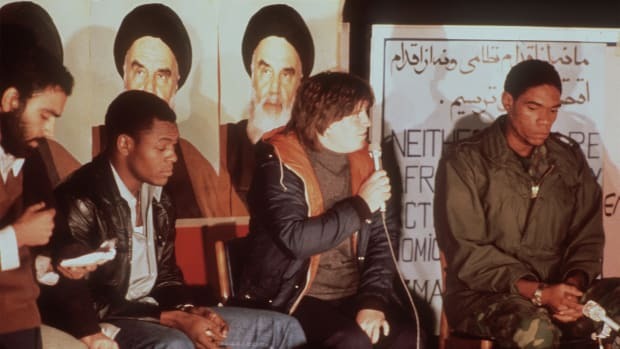 The Israelis soon were joined by French and British forces, which nearly brought the Soviet Union into the conflict, and damaged their relationships with the United States. In the end, the British, French and Israeli governments withdrew their troops in late 1956 and early 1957. The catalyst for the joint Israeli-British-French attack on Egypt was the nationalization of the Suez Canal by Egyptian leader Gamal Abdel Nasser in July 1956. The situation had been brewing for some time. Two years earlier, the Egyptian military had begun pressuring the British to end their military presence (which had been granted in the 1936 Anglo-Egyptian Treaty) in the canal zone. Nasser’s armed forces also engaged in sporadic battles with Israeli soldiers along the border between the two countries, and the Egyptian leader did nothing to conceal his antipathy toward the Zionist nation. Did you know? 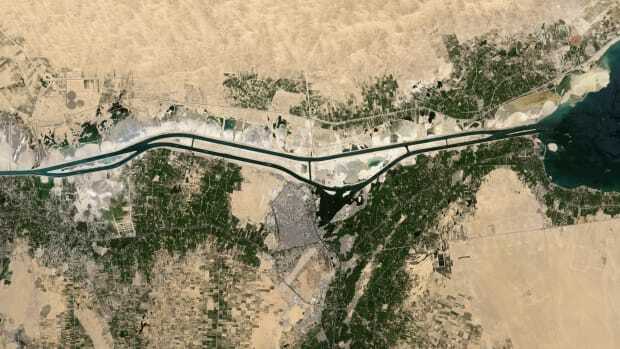 The 120-mile Suez Canal, which connects the Mediterranean Sea and the Red Sea, took 10 years to construct and opened in 1869. The canal was developed by Frenchman Ferdinand de Lesseps, who in the 1880s made an unsuccessful attempt to develop the Panama Canal. 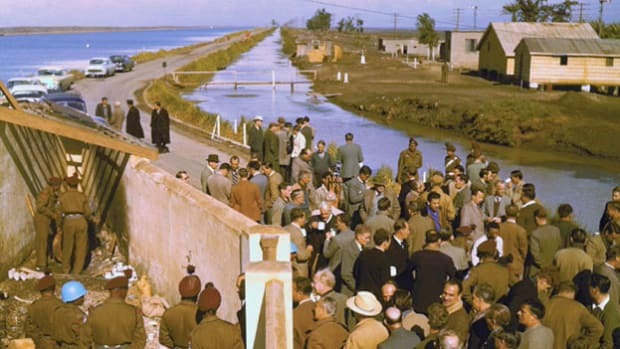 Supported by Soviet arms and money, and furious with the United States for reneging on a promise to provide funds for construction of the Aswan Dam on the Nile River, Nasser ordered the Suez Canal seized and nationalized. The British were angry with the move and sought the support of France (which believed that Nasser was supporting rebels in the French colony of Algeria) and Israel (which needed little provocation to strike at the enemy on its border) in an armed assault to retake the canal. The Israelis struck first, on October 26, 1956. Two days later, British and French military forces joined them. Originally, forces from the three countries were set to strike at once, but the British and French troops were delayed. Behind schedule, but ultimately successful, the British and French troops took control of the area around the Suez Canal. However, their hesitation had given the Soviet Union–also confronted with a growing crisis in Hungary–time to respond. The Soviets, eager to exploit Arab nationalism and gain a foothold in the Middle East, supplied arms from Czechoslovakia to the Egyptian government beginning in 1955, and eventually helped Egypt construct the Aswan Dam on the Nile River after the United States refused to support the project. Soviet leader Nikita Khrushchev (1894-1971) railed against the invasion and threatened to rain down nuclear missiles on Western Europe if the Israeli-French-British force did not withdraw. 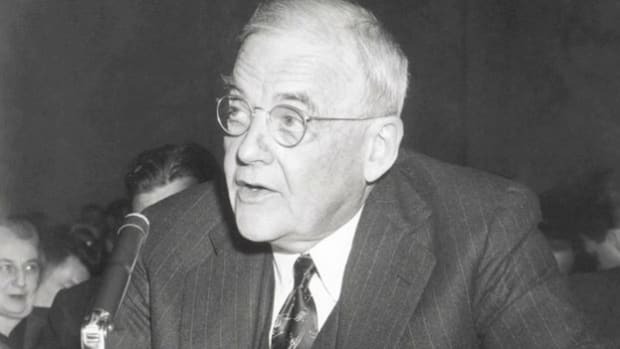 The response of President Dwight Eisenhower’s administration was measured. 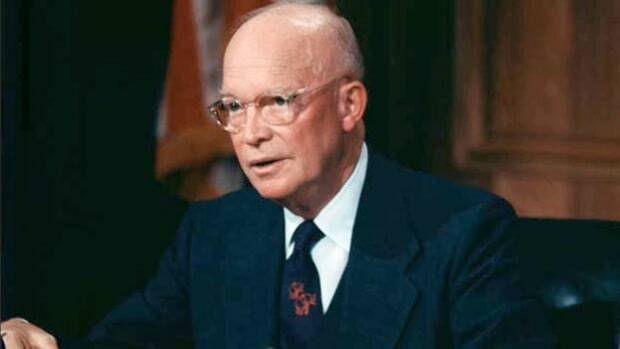 It warned the Soviets that reckless talk of nuclear conflict would only make matters worse, and cautioned Khrushchev to refrain from direct intervention in the conflict. However, Eisenhower (1890-1969) also issued stern warnings to the French, British and Israelis to give up their campaign and withdraw from Egyptian soil. Eisenhower was upset with the British, in particular, for not keeping the United States informed about their intentions. The United States threatened all three nations with economic sanctions if they persisted in their attack. The threats did their work. 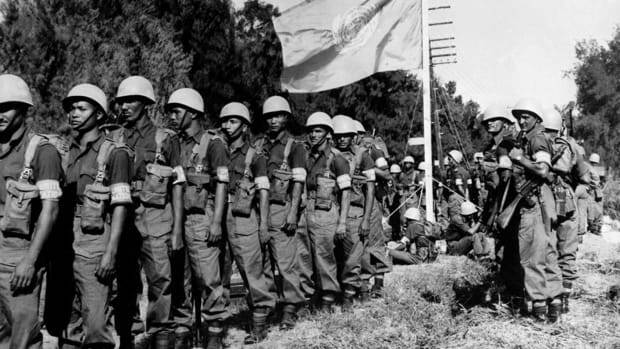 The British and French forces withdrew by December; Israel finally bowed to U.S. pressure in March 1957. In the aftermath of the Suez Crisis, Britain and France found their influence as world powers weakened.